The family that eats together prays together, stays together, works together”. Our very own family of Serosoft lives by this precise philosophy of staying together, working together to achieve the goal. One of the best days of our work year is the day we announce our annual award winners to commemorate and appreciate the efforts that every member puts forward to make our establishment a great place to work. The annual award evening of Serosoft Solutions Pvt. Ltd was conducted on 28th May 2016. We began the event with the culture code of the company which was followed by a brief introduction of the 3 categories of Awards by Mr. Arpit Badjatya – CEO& M.D., Serosoft Solutions Pvt. Ltd.
Then began the much awaited awards of first category i.e.” Interesting Awards”. Everybody held their breath for the first award under Interesting Awards category which was “Neatness Nook Award” which went to Mr. Surendra Jha for being well organized in managing his office desk & all his work. The limelight then came towards the fashionistas of the night. The “Best Dress Award” for Females, was awarded to Ms. Neelmani Gupta and Mr. Vishal Joshi was awarded the best dressed gentleman for his immaculate formal dressing sense. 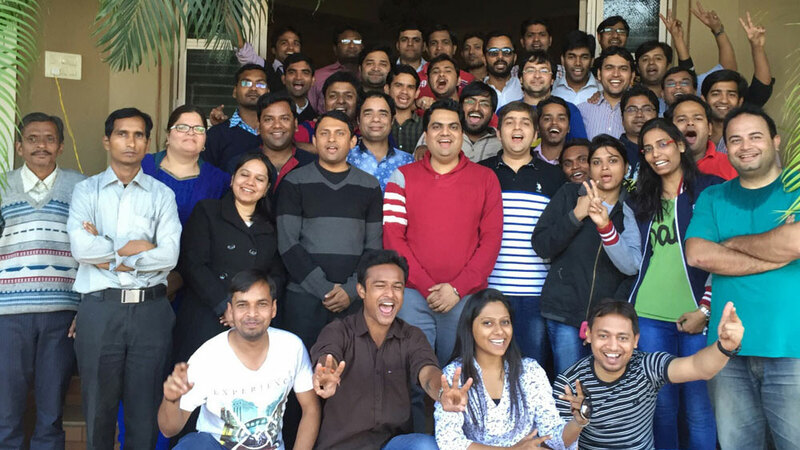 The culture at Serosoft is weaved carefully with the threads of Passion, Respect, Ownership, Speed, and Efficiency. The second category of awards was “Sero Culture Award”. This prestigious award was given to to 8 employees, namely Imran Ahmed Qureshi, Ankur Agrawal, Sudendhu Kopargoenkar, Yateendra Parashar, Shashank Joshi, Nitin Gaikwad , Gaurav Gupta & Ankit Bajaj who embody the traits of our Culture Code i.e. Passion, Respect, Ownership, Speed, Efficiency & also motivate all the employees to keep up the culture of our company. The first award under Excellence Award Category was “Award for Discipline 2015-16” –This was presented to Mr. Ajay Lashkari, who religious follows the Code of Conduct of our company. The second award under Excellence Award category was “Award for Team Work 2015-16” – This was presented to Ms. Poonam Dhariwal (Sr. HR Executive), for her meticulous work as HR. The third award under Excellence Award category was “Award for Efficiency 20015-16” – This was presented to Mr. Prasoon Chikhale, who is focused towards his work & with his best output, he supported the company to reach to the new heights. The fourth award under Excellence Award category was “Award for Effort 2015-16” – This was presented to Mr. Rahul Gupta, who is a dedicated employee & always puts extra efforts to complete the projects. We appreciate his dedication towards work. Not just awards, the evening was full of entertainment. All the employee’s general knowledge about our beloved city of Indore was tested through a tough question answer round and few interesting gifts were given to the people who came up with the right answers. Lip smacking Snacks and chaat were also arranged followed by a DJ dance session for the employees to let their hairs loose and dance to the rhythm of the music. The musical conclusion to the evening set the tone for the next year with the employees reaffirming their resolutions to give everything for the company’s progress.